Ghost Hold starts of a bit slow, I didn’t re-read Ghost Hand and some parts where a bit confusing at first. It took me some time to remember what Olivia and her friends where doing and why they where there. After the confusion was cleared up and the pace picked up I couldn’t put it down. I just wanted to keep reading and find out what was going to happen next. 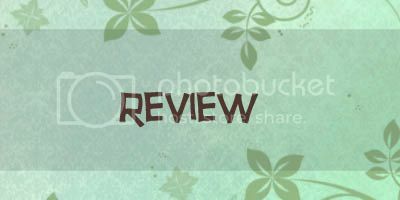 There is enough recap to remember the reader what happened in the first book, but not too much that it feel repetitive. 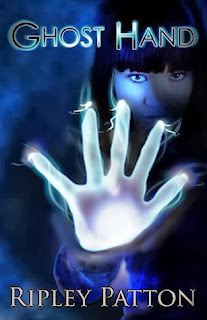 Ghost Hold is a fast paced book full of action. There is always something going on or happening. There is no dull moment and this book definitely had that keep-reading-feel. Ghost Hold again reminded me what I loved about Ghost Hand and Ripley her writing style. It’s story focussed, but there also is room for character development. The world and story is really original. And Ghost Hold is even better than Ghost Hand. The writing is done really well, I was constantly wondering who to believe and speculating about who did something. And then when I thought I had it all figured out something happened that made me doubt again. The ending is a bit of a cliffhanger and makes me eager for the next book. To conclude: I really enjoyed Ghost Hold, it was even better than the first book. 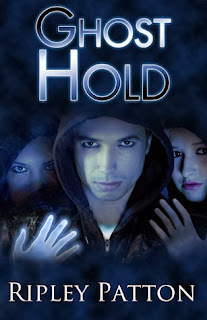 Ghost Hold is fast paced and full of action. There is no dull moment and while the focus is on the story there also enough room for character development and world building. The ending is a bit of a cliffhanger and makes me want to read the next book now! And I have some great news, Ghost Hand the first book in this series is free to download! How does Olivia handle being the girl with the ghost hand? Well, she’s a little bit morbid and a whole lot snarky. Her mother thinks her obsession with death, black clothing, and the local cemetery is a bid for attention. But when Marcus, the new guy in Olivia’s calculus class, stares at her like she’s a freak, Olivia doesn’t like it. And when her hand goes rogue, doing things she never imagined possible, Olivia finds herself running for her life with Marcus from a group of men bent on taking the power of her hand for their own nefarious purposes.